Friendship Academy offers an excellent early childhood educational preschool experience for the children of parents seeking a research-driven and enriched program. Our Approved Private School offers an integrative approach in meeting the individual therapeutic and educational needs of each child we serve. Easterseals offers Autistic Support Classrooms and services to help children reach their fullest potential. Easterseals is proud to celebrate 100 years of service. Easterseals offers center-based early intervention preschool programs. The Walk With Me is an amazing event held that lets the amazing children we serve shine! Our mission is to provide exceptional services to ensure that all people with disabilities or special needs and their families have equal opportunities to live, learn, work and play in their communities. The Annual Spring Carnival will be held on Saturday, April 27th at our Gresh Center in Lansdale. This fun event has lots of activities that make it fun for the whole family! Learn more about the day or how to become a sponsor. Easterseals Camp Fairlee is a residential summer camp program filled with fun, friendship, and individual growth. The camp is located on 250 acres on Maryland's Eastern Shore. Campers range from age six through adulthood. Click the link for the application and to learn more. 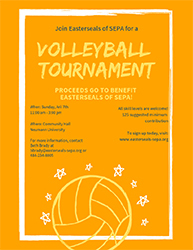 Visit your local A.C. Moore between April 13th and April 27th and make a donation at the register for Easterseals of SEPA! To find an A.C. Moore close to you, click the link above. Registration closes March 31st, sign up today! 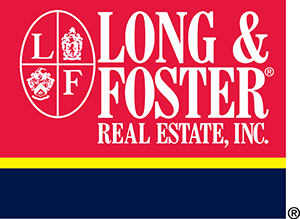 Long & Foster Golf Outing is set for Monday, May 13th at Llanerch Country Club. 11:30 Buffet & Registration, 12:30 Shotgun Start. Sponsors, golfers & dinner guests all making an impact for Easterseals families! Click the link for registration information. Easterseals Friendship Academy is available to all children in the community. The preschool fosters kindergarten readiness in an environment where all children play to learn.